1. 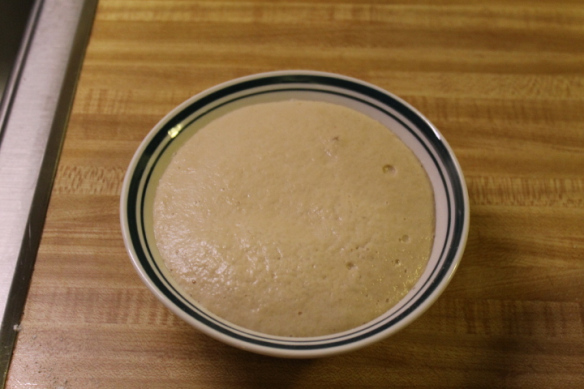 Combine water, sugar, and yeast into warm water. 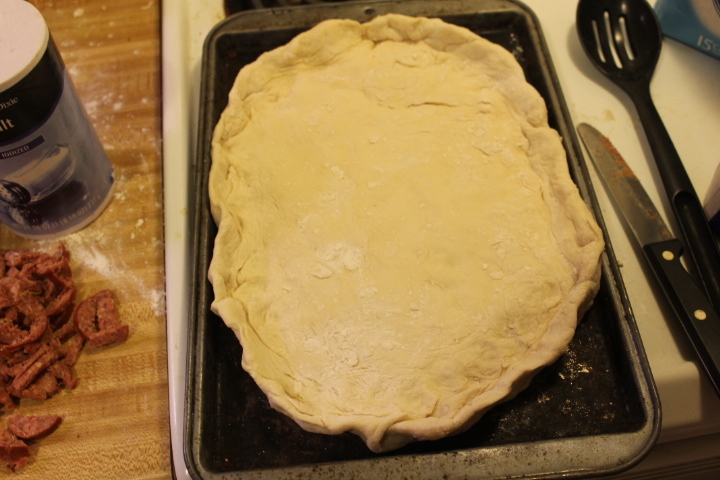 Let rise for 10 minutes. 2. 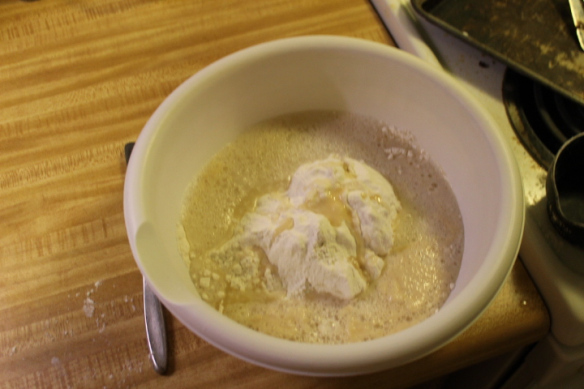 Combine yeast mixture with flour and salt and mix well. 3. 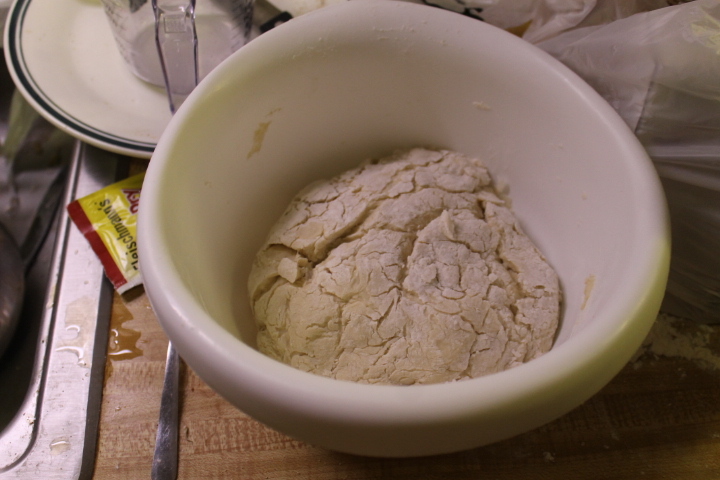 Knead dough for 5 minutes and let dough rest and rise for one hour. 4. 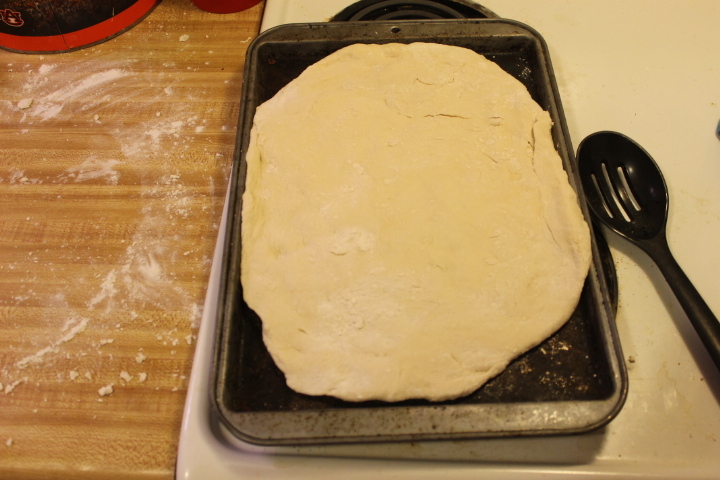 Preheat oven to 450 degrees and spread out dough into circle shape. Outside edge should be slightly raised to keep egg in! 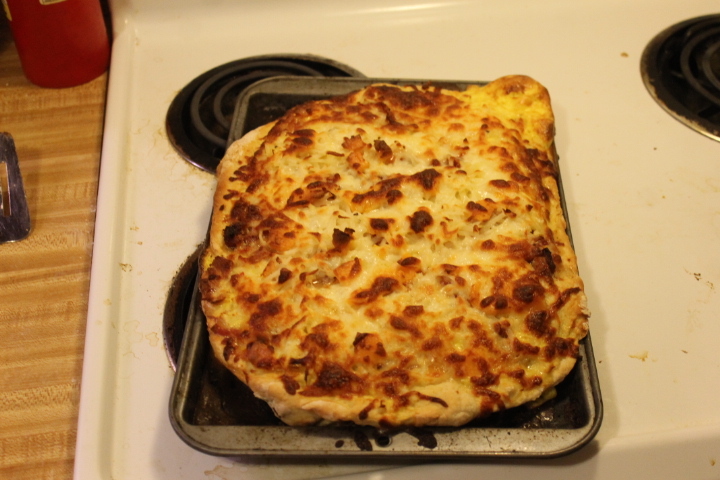 It is recommended you use a pizza stone. 5. 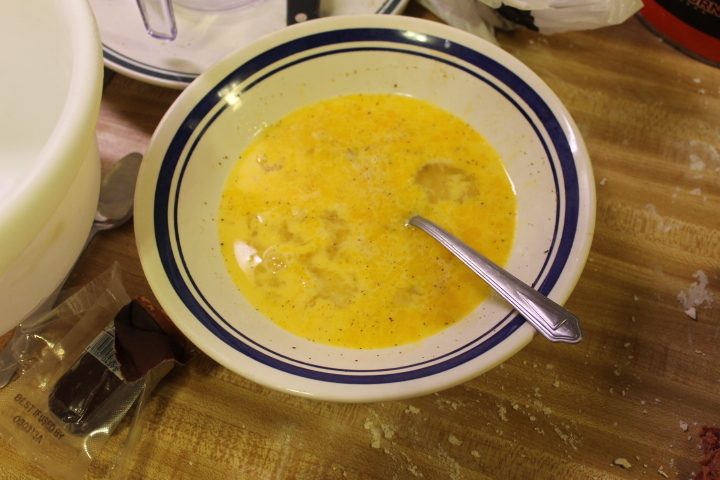 Combine 3 eggs, 1/4 cup milk, 1/4 teaspoon salt, 1/4 teaspoon pepper in a bowl. 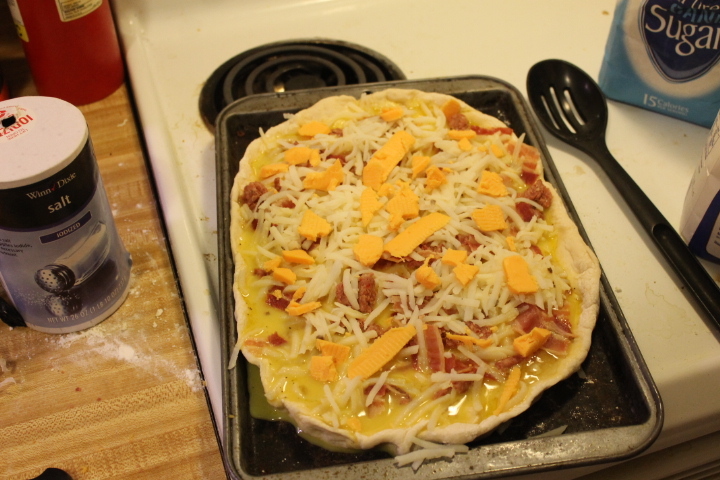 Mix together then pour egg mixture on top on crust. 6. 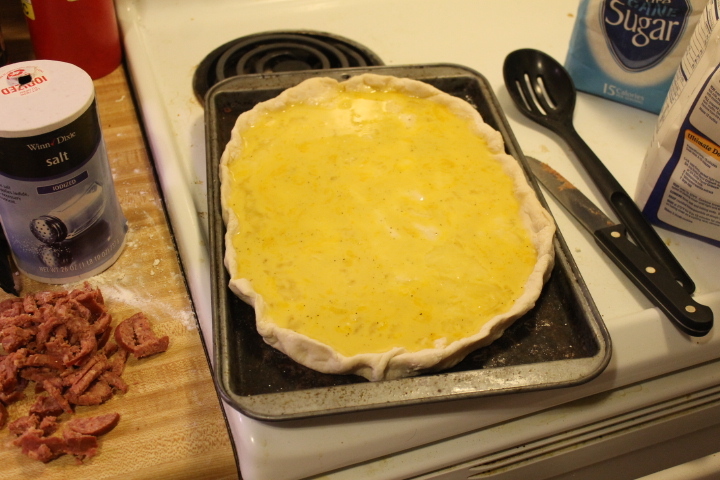 Add cooked sausage and cooked bacon on top of egg mixture. 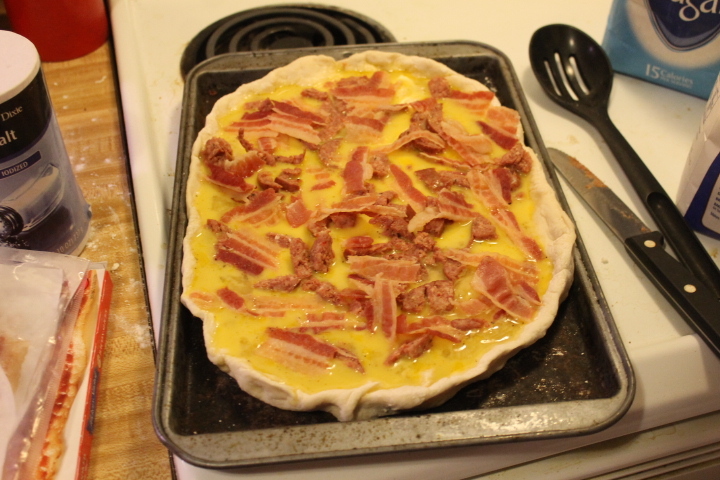 Crumble bacon and sausage and spread across the mixture. 7. 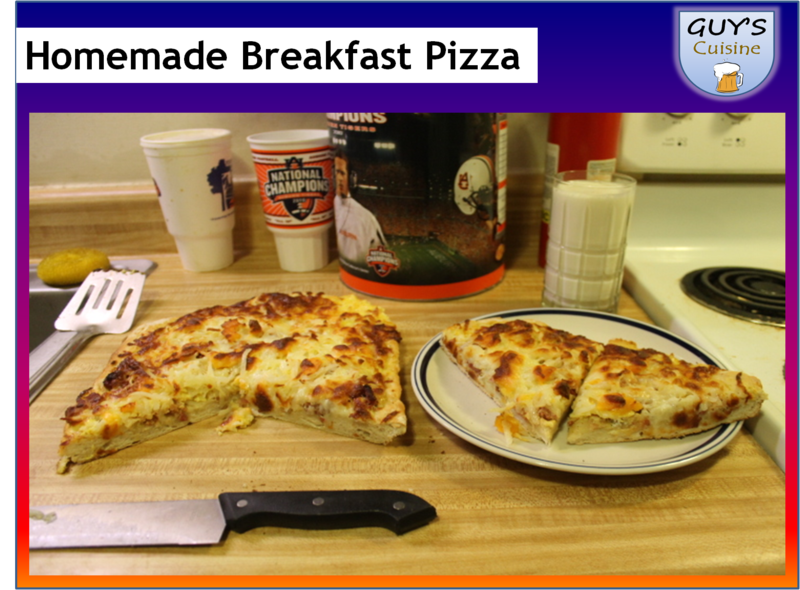 Top pizza with 1 cup of shredded hashbrowns. 8. 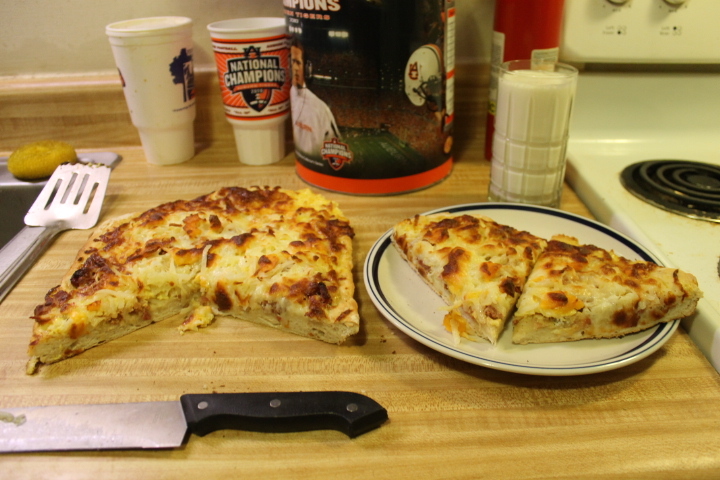 Top pizza with mozzarella and cheddar cheese. 9. 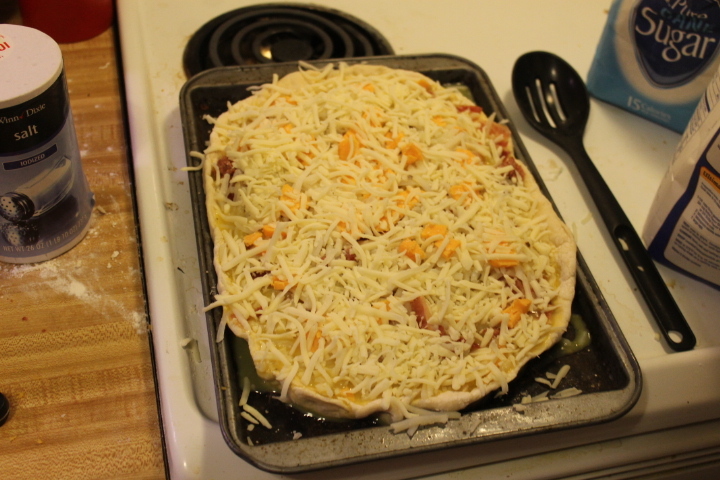 Cook pizza for for 15-20 minutes or golden brown. 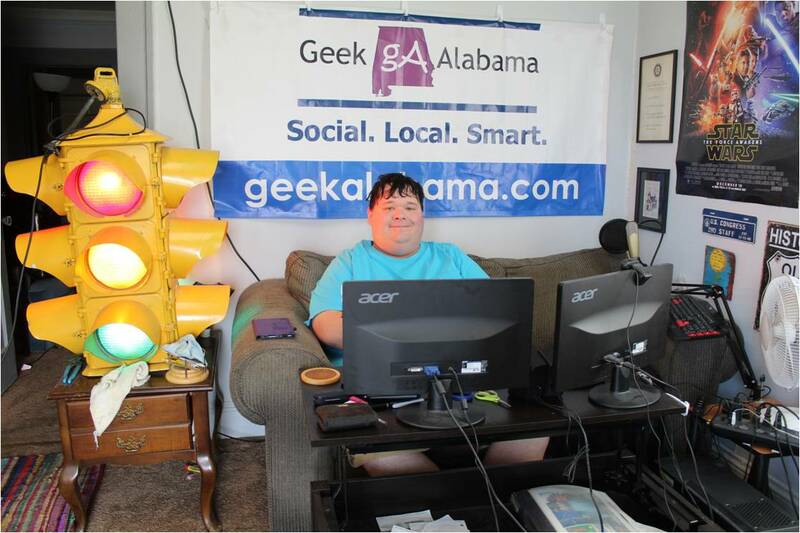 Let cool and then serve! There you have it! Let the pizza cool then slice and serve! This pizza was very good! Enjoy making and eating!